This exquisite crack can be found in the middle of the West Face of the Bastille. Considering that the first ascent was done free solo by Jim Erickson in 1972, the name seems to have some true meaning. The route is not hard to recognize, it is a hand-sized crack that runs diagonally up and right for about 100 feet. Start P1 by jamming up an easy crack to some more technical moves in the middle of the pitch. Eventually move past a short chimney and the crux becomes quite apparent. The crack splits into two options, the left crack is solid hand size and easily swallows pro as it ascends an overhanging bulge (5.10a). The right hand crack is a very thin crack that probably takes very small TCUs or nuts as it ascends the same bulge (5.10c). Belay on a ledge right after pulling the bulge. This entire pitch has some exquisite climbing that is never desperate and easily protectable. Good stuff. P2 starts out by ascending a blocky bulge that is more overhanging than it first appears (5.9). Make off balance move to pull over a bulge. The pro is good and the pitch gets easier as it scales a wide chimney to the summit (5.6). This is a short but really good quality route. I recommend climbing it once first before trying it in the original style, though. Standard rack of cams and nuts. No RPs or cams larger than a #2 Camalot are needed. Eds. some suggest that #3 and even #4 C4s, while not necessary, are useful. Jeff following up the first pitch. On the 2nd pitch, look out for mom. Toppin' out Blind Faith with Phil. Matt onsight soloing Blind Faith. Good job bro! Blind Faith in 1975 or '76 with Mark Jonas. Cale and Phill on Blind Faith. Unknown climbers on the climb. Audrey pulling the 10c roof variation. J Beta topping out the first pitch of Blind Faith. I disagree with the comments that this is a good first 5.10 lead, although of course everyone is different. The moves over the bulge seemed awkward and desperate--that was the crux, not the straightforward crack moves. Whew! 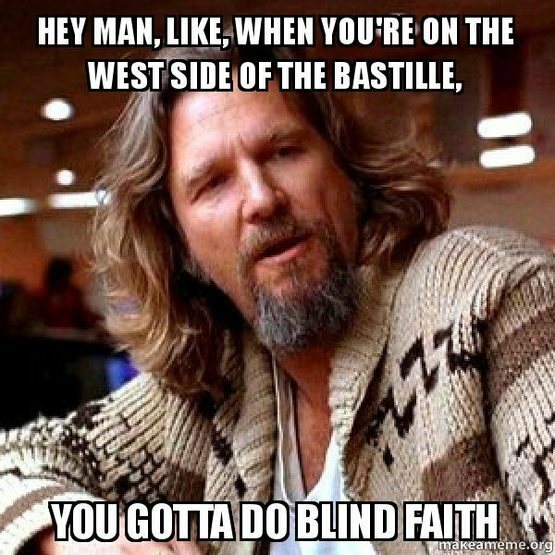 It is refreshing to hear that maybe Blind Faith is as hard as I thought it was. My 2nd 10 trad lead in Eldo. I fell a few times trying to exit the crack, and it even felt hard on TR the second time. I tried Northcutt today as my 4th Eldo 10 lead...you can read my comments yourself, but hey, the ring pin holds! I can't disagree with any of the previous remarks....I'll just say that I find it much easier to set up for the last move by.......... jamming with the right hand at the top of the crack, moving the right foot as high as possible and then reaching up and over with the left, jamming in the slot towards the back. This allows me to palm with my right with my weight already above the bulge. I think any 5.10 with protection as good as this one has is a good one to choose for your first. You may not flash it but you can always come back another day. I found the gear and holds on the beginning of the second pitch to be of poor quality. I was new to Eldo the first time I did it, and although I was on-sighting 5.11s, and a lot of R rated routes, but I had some concern for my safety on this route for gear quality. A few years later I did it again. Peter Spindloe lead it in the snow and took a few nice falls off of the P1 crux. I lead P2 and don't recall being as intimidated by it that time, but that was after doing 100s of routes in Eldo. Since then, I've lead it all as a single 60M pitch 3 times and had no concerns. I guess that just means it is in the eye of the beholder. Well, it's not just sport-wankers that may get worked on BF. If you've been climbing mainly in Eldo (where real crack climbing is rare), this could seem pretty tough as a first 5.10. First time I did it, it felt p.f. hard for a 10a (I **thought** I was a good crack climber). About a month later, after my first Indian Creek trip, I did it again, and it felt downright E-Z for it's grade. Someone with lots of mileage on Lumpy 5.9 cracks would probably cruise it as a first 10. I climbed this yesterday. I have just recently been breaking into 5.10s, at Eldo and Lumpy primarily. This was my 3rd Eldo 5.10 and I had yet to take a lead fall at this grade. But this one did it! I think it is hand-size dependent, a little. I have thin hands and it was getting a little wide for me at the top. Also, would have helped to have known about the crimper to the right, which I didn't use, even when I reascended and topped it off. Also, don't bother placing too much gear in the bulge crack, which saps energy and isn't very beneficial--the fall is super-clean and I didn't feel a thing. Well-protected, so that is a plus for early 5.10 leads, but steep, overhanging, and strenuous, so not that great if you are used to "typical" Eldo climbing, which isn't very crack-y. Maybe good practice for an Indian Creek trip. Casey, the knotted cordalette combined with the piton holds just fine. Rapped off it yesterday (though nervous) and it held. However, the stoppers that Jackie mentions haven't been there since mid-summer to my best recollection. William, we rapped off it too. I would NOT recommend making a regular practice of rapping off bad anchors. This is the worst fixed rap anchor I have seen in Eldo. Casey, I'm inclined to agree with you in that this is one of the worst anchors in the park. Has someone submitted a request for bolts/chains yet? This was my second time up the first pitch of Blind Faith (one variation each), and both times I have felt the anchor was safe. Something ANY party should do if rappelling off this anchor is to back it up with trad gear, but don't equalize it. This will give confidence to the first brave soul and assure the second climber that the anchor holds. Obviously if one equalizes the anchor, this is not possible, so place the back-up in 'leading-style' below the webbing that is the anchor. If you're not ready for the route as is, you are responsible for getting down. Leave gear if necessary. Else wait until you are ready. This is an unnecessary convenience anchor in my opinion. In any case, this discussion should be continued in eldo fixed hardware (Editorials (Ranting)). In keeping with the flow, I'm putting this here, though the last several posts should be moved to the Eldo Fixed Hardware thread. I don't want to see a bolted anchor go in on top of P1 of Blind Faith. This would be strictly for convenience. The "anchor" that is there now is an ad hoc job and should probably be removed all together. It wasn't built for the masses. There are enough gear placements on that ledge to build your own anchor and leave your own gear if you need to retreat. Do those in favor of a bolted anchor here want to bolt the first pitch of all of the multipitch climbs in Eldo? If you take this discussion to it's logical conclusion, then either a new anchor has to be placed, or the old one removed completely.I for one would prefer to completely remove the old one. Like people have said, it's bogus.Since you can build a good anchor on trad gear there in the first place it's unneccessary and just leads to people calling for bolts. There are plenty of multi-pitch climbs in Eldo that don't have or require bolted anchors on top of P1. This is just one more of those. So I suppose I could totally fix this problem by removing the in-situ anchor... just as well as we could by adding bolts. Or maybe we could just leave it as it is and people can just place trad gear to suppliment it. I don't see any precident for bolting more of the park so that we can turn more climbs into 1-pitch TR's. If a pin and a bad cord set the precident, we should start removing the pins and bad cords, not just bolting stuff. Scott Conner and Tony Bubb's comments are spot on. A bolt anchor atop the first pitch of Blind Faith would not be approved by the FHRC unless there was overwhelming public sentiment in favor.This is highly unlikely. More likely is the complete removal of fixed anchors from this spot. A bolt anchor at the top of the first pitch will never be approved, so it's not even worth debate. I too would recommend the route for the first .10a trad lead, it was my first .10a trad onsight. I certainly found Blind Faith much easier than Break on Through, but then I feel very comfortable on hand jams. No need for any anchor at the top of the first pitch. Carefully traverse off climber's right on exposed, inobvious class 4 ledges. I think it should be pointed out that Erickson originally rated this route 9+. I think what Alan Nelson refers to as the "Valley Daze" is the trick for this one. Most climbers in Boulder are not so great at pure cracks as we don't have any. A few months at the Creek or in the Ditch will make this route feel easier. Hey ac- If we adhere to the old school ratings, Boulder climbers not only can't climb pure cracks but overhangs, slabs, pure face, corners or anyother type of climb. Here are some ratings from Ament's 1970 edition of "High Over Boulder": Gorilla's Delight 5.9 "Layback a flake to the 5.7 or 5.8 slab above," Country Club Crack 5.10, Cussin' Crack 5.5 or 5.6, Final Exam 5.10, Skunk Crack 5.8, Tagger 5.9, X-M 5.9, Black Walk 5.8, T2 5.9 "Start under the overhang and climb out and up to a bolt, "Rosy Crucifixion 5.8, Ruper 5.7, Grand Giraffe 5.8, Super Slab 5.9, Vertigo 5.10, Grandmother's Challenge 5.9, Grand Course 5.9, Break on Through 5.9, Rincon 5.9. ...or you can lead it in one pitch with a 60-meter rope with no simulclimbing. Don't forget to bring your hex's for the first part of the route. (# 7,8,9) You can then save your cams for the crux. You can place a #3 Camalot about 2 feet below the top out. This is a fun 5.10a route up to the topout, which I won't try to rate. I finally had to traverse to the right to get over the bulge. Blind Faith was a difficult lead for me, one that I would not consider a novice 5.10 leader to attempt. The crux moves are harder than Tagger, Over the Hill, and March of Dimes in my opinion. I climbed the crack on the left (with a nice big fall!). The crack on the right looked easier, though. Place a #3 Camalot in the crack near the top of the bulge, work your way up the crack, crimp like crazy on the holds above the bulge, and try to find foot placements under the buldge (I didn't find any which made this very difficult for me). Holly **** Stephanie! Maybe I was a bit tired from doing (leading) both Hair City and West Buttress, but having done quite a number of low 10s in Eldo, P1 crux completely shut me down, and I had to aid it (and yes, I can climb crack, no I'm not a 5.12, or even 11+ sport climber). P2 is straightforward 9, even pumped. I think there is a 'bad' way or trying to do the P2 crux, though my partner inexplicably fell multiple times seconding. Discussions on route difficulty never cease to amaze me. When I did West Buttress a couple of years ago, the 9+ crux seemed hard - I had to deadpoint for it - and definitely felt sandbag 9+. This time it felt quite straightforward (footwork being key), as did the 10a straight up (although did feel 10a). People talking about Xanadu being 'hard' for 10a, Uhhh? It's just stemming with good gear. Technique and how you feel on the day seem to make a big difference in Eldo. Then, others are like "Blind Faith is a good first 10", and I fell multiple times - something I haven't done in Eldo before. The pro is decent, but strenuous to place, and I was looking at a 10+ footer trying to top out without placing the last cam up there (I got pumped placing that last piece). A really good, fun climb though, and I wouldn't hesitate to get back on it, even if I did not expect to make the crux. The bulges before hand and P2 are just a delight. It was too difficult to sort through the comments above, so I thought I would quickly recommend the 10c variation over the 10a variation. The climbing on the 10a side is a bit of a grovel (though well protected). I am relatively new to Eldo (30 routes or so). I think the anchor at the top of pitch one is uninspiring. The anchor spot consists of a large block wedged into the crack. It is possible, though unlikely, that it could move and spit out your gear. I did not have one piece I trusted 100%, much less three, so I put in 7 pieces in five different cracks around all the loose junk. Yes, it was overkill, but an anchor is supposed to be overkill. Especially in this case where the first 25 feet of the next pitch has no great gear. I guess you could sling one of the massive blocks lodged in the crack, but I didn't want to touch it, much less be attached to it. Before you get the first good piece (a crack formed by two large walls rather than a crack on either side of a loose looking block) I pulled hard on a torso-sized block that had no visual means of attachment. I can't believe it hasn't fallen out yet. For this reason, I think there should be one bolt placed a few feet left of the pin. This would make the anchor bomber. At this point, it might be good. I will not belay at this spot again if I can avoid it. Doing it in one pitch is a good idea if your experienced enough to alleviate the ropedrag and can run it out enough to conserve gear for the whole pitch. "For this reason, I think there should be one bolt placed a few feet left of the pin." The bolt you suggest would violate the entire premise of the climb and the park as well as the rules of the legally chartered FHRC. With time, you will get used to Eldo and what is good and what is not and will probably feel more secure about climbing in Eldo. Most people probably assume Jim Erickson simply walked up to this climb and free soloed it. In fact, Jim is a shrewd and calculating fellow and climbed up and down the start numerous times over many days before he committed to the crux section. In the 70s in Eldo, most climbers were experts at climbing down as well as up difficult sections. These days it is all too tempting to yell "TAKE!" Being that I've lead this climb as a single pitch on most occasions, with a 60m or a 70m rope, (the 70m leaves you more room at the end for anchors), I can assure you that this climb in just under 200' in total. I left a couple of DMM offset nuts on an oval biner at the bottom of this today. I came back, and the people there told me whoever found them was trying to give them back. If you found them, pm me and a sixpack is in your future. Left a yellow BD nut, dyneema sling, and green cordlette at the top of the first pitch when we had to bail due to nightfall yesterday. If you get them back before I do today, please return in exchange for beer. Eric and Heather whom I met on Blind Faith 6/25/18. I got a pretty good shot of Heather leading the crux on P2! If you are interested, shoot me an email. Contact me by going to my profile.